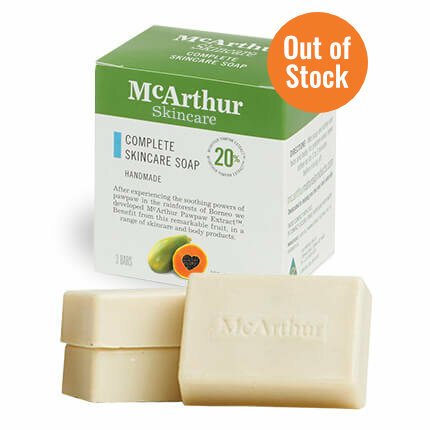 Please keep McArthur Skincare's Complete Skincare Soap stored at a temperature below 30° Celsius. Oil extracted from the olive from the Olea Europea tree that provides a mild, rich moisturising effect. Essential oil derived from the Lavender plant. 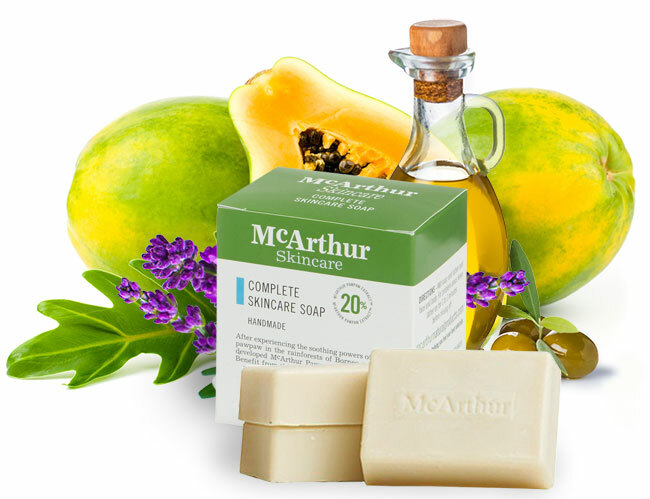 Has a beautiful scent and assists in rejuvenating the skin.